BIKE HIRE * BIKE SERVICING AND REPAIR * EX-HIRE AND NEW BIKES FOR SALE AT INCREDIBLE PRICES! 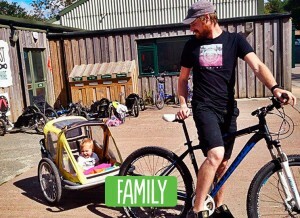 Whether you want an adrenaline fuelled adventure ride or a leisurely cycle with the family, Haldon Forest Park has it all! 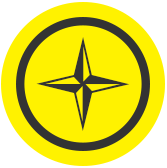 And Mountain Bike Leader led rides for Schools, Groups and Companies…a fully serviced workshop for repairs…qualified mechanics and excellent value mountain bikes for sale! 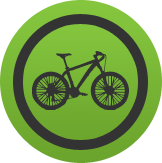 Forest Cycle Hire Limited is the only approved cycle hire centre based at the 3,500 acre site of Haldon Forest Park near Exeter. The hire centre has over a hundred adult and child mountain bikes for hire as well as the ever popular tag-a-longs and child seats. We use top quality helmets for hire and our bikes are replaced regularly and constantly maintained to ensure the best quality. 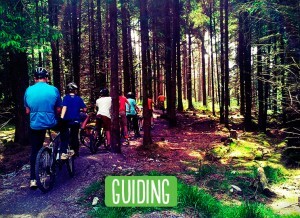 We have purpose built trails from easy to technical, providing cycling for all. 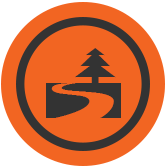 Find out about the fantastic range of trails below. Great people great service good prices. Also give impartial advice tailoring suggestions to the rider. Great bikes, well maintained, fast service. From toddlers to shredders - something for everyone. From the saddle of a bike you can explore deeper into the forest than you have before, and enjoy safe, attractive, off-road cycling in a peaceful setting. with stunning views and play features. Also used by walkers, you’ll need to be a considerate cyclist. A combination of surfaces, some narrow sections and gentle gradients for intermediate cyclists. Add on the longer loop to build up your stamina. and lively descents to test your reflexes on this narrow singletrack route through the forest. 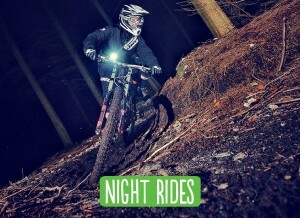 Experienced riders only, with appropriate bikes and protective equipment. 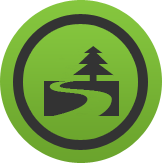 This optional technical loop is more demanding than the previous sections of the Ridge Ride Trail. Expect roots, rocks, berms, drops and a step down. (Hire bikes are forbidden on this section). with numerous features for all abilities and a pump trail to help you find your flow. Suitable for novice to advanced riders. 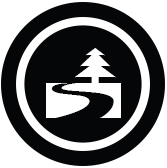 Click the icon above to download a PDF version of the trail map. Bikes, Trikes, Child seats and Guides! 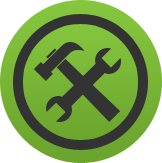 for either a simple adjustment or suspension servicing, you can be sure of our workmanship. be it balance bikes for children or high end rigs worth many thousands of pounds. You’re in safe hands here! safe working order with adjustments where necessary. brake pads + tyres etc are in order. Repairing what is necessary. of all cables. Rebuilt with fresh grease and lube. Service of both hubs is included. New tube replaced either while you wait, or leave it with us. Same price for both options. level standard (spokes not included in price). cleaned. New grease is applied on installation of new BB (new BB not included). through and calliper re aligned and set up. (Price per brake). ensuring smooth operation without axle play. Loose bearings (Shimano etc) inclusive, sealed bearings (Hope, Mavic, DT etc) extra. we can provide you with a quote and have your steed rolling with the times. oil on re-assembly, fitted with Mojo’s best heavy duty seals. oil on re-assembly, fitted with Rock Shox best heavy duty seals. oil on re-assembly, fitted with Marzocchi’s best heavy duty seals. oil on re-assembly, fitted with Manitou’s best heavy duty seals. are replaced (Price depending on shock). Technical Issues? We Can Help! Click the thumbnails below for more information on our other services. More to follow soon. feel free to contact us using the form below and we’ll reply as soon as possible.